The first slaves were brought to this continent before the Mayflower landed at Plymouth Rock. Before that, of course, American Indians inhabited this part of the world. And for at least that long, the issue of race has befuddled, tortured and confused, well, just about everybody. The latest research is showing, however, that we've gotten it all wrong. Is it possible that our nation's, and particularly our region's long, painful history of race relations has been based on one simple misunderstanding about human biology? According to a three-part documentary series being presented at the Light Factory, race is nothing more than a cultural illusion, a biological myth, a myth that has been believed in and built upon throughout history and has resulted in countless social and cultural inequities and atrocities. The short version is that contemporary science is challenging the longstanding assumption that human beings can be bundled into three or four fundamentally different groups according to their physical traits. These scientists say there's simply not enough biological difference between people in various cultures or colors to warrant being considered essentially different from one another. As Andy Baxter, executive director of Mecklenburg Ministries and one of the event's organizers, says, "There's a lot of new, really powerful information here even for people who consider themselves pretty enlightened on the topic of race." The first part of this acclaimed three-part PBS series produced by California Newsreel -- Race: The Power of an Illusion -- will be shown Thursday, Sept. 25 at The Light Factory in Spirit Square from 7-9pm. The second and third installments will be previewed Oct. 2 and Oct. 9, respectively. Following each screening, group facilitators will lead a discussion about how race impacts the Charlotte community. Baxter hopes the series helps reinvigorate race discussions, and steers people toward some of the positive work taking place in Charlotte concerning racial justice. "There's a lot of fatigue about working on race relations not only in Charlotte, but all across the country," he says. "This is a new way of looking at race." The series explores how contemporary science is now challenging our assumptions that human beings can be bundled into three or four fundamentally different groups according to their physical traits. Secondly, it uncovers the roots of the concept of race in North America, the 19th century science that legitimized it, and how it came to be held so fiercely in the western imagination. The series' third installment focuses on how our institutions shape and create race, giving different groups vastly unequal life chances. The episode reveals some of the ordinary social institutions that quietly channel wealth and opportunity, so that white people benefit from an undeniably racist system without personally being racist. 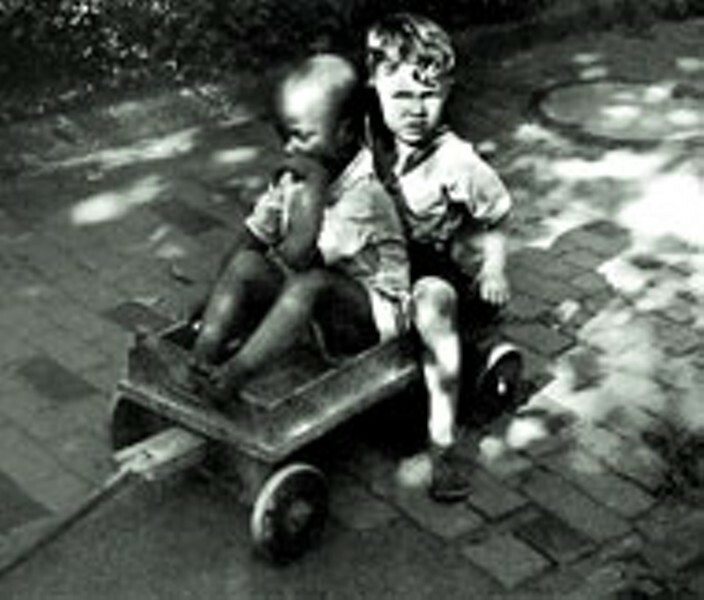 To view the online companion to the documentary series, go to www.pbs.org/race. The site was designed for PBS by Charlotte design firm Interactive Knowledge, and contains educational activities, resources and printable discussion guide. "The series and website presents several new and shocking ideas about race and our society," says Chuck Barger of Interactive Knowledge. "People need a way to process this new way of thinking and community dialogue is a great vehicle to accomplish this. The combination of a well-produced television series, a website designed as an educational companion, teamed with a plan for local discussion offers a marvelous opportunity for personal and community growth." Larry Adelman, the series' executive producer and co-director of California Newsreel, says he hopes the series helps people navigate through our myths and misconceptions concerning race, and scrutinize some of the assumptions we take for granted. "We hope this series can help clear away the biological underbrush and leave starkly visible the underlying social, economic, and political conditions that disproportionately channel advantages and opportunities to white people," Adelman says. "Perhaps then we can shift the conversation from discussing diversity and respecting cultural difference to building a more just and equitable society." 1. Race is a modern idea. Ancient societies, like the Greeks, did not divide people according to physical distinctions, but according to religion, status, class, or even language. The English language didn't even have the word "race" until it turned up in 1508 in a poem by William Dunbar referring to a line of kings. 3. Human subspecies don't exist. Unlike many animals, modern humans simply haven't been around long enough or isolated enough to evolve into separate subspecies or races. Despite surface appearances, we are one of the most similar of all species. 4. Skin color really is only skin deep. Most traits are inherited independently from one another. The genes influencing skin color have nothing to do with the genes influencing hair form, eye shape, blood type, musical talent, athletic ability or forms of intelligence. Knowing someone's skin color doesn't necessarily tell you anything else about him or her. 5. Most variation is within, not between, "races." Of the small amount of total human variation, 85 percent exists within any local population, be they Italians, Kurds, Koreans or Cherokees. About 94 percent can be found within any continent. That means two random Koreans may be as genetically different as a Korean and an Italian. 7. Race and freedom evolved together. The US was founded on the radical new principle that "All men are created equal." But our early economy was based largely on slavery. How could this anomaly be rationalized? The then-new idea of race helped explain why some people could be denied the rights and freedoms that others took for granted. 8. Race justified social inequalities as natural. As the race idea evolved, white superiority became "common sense" in America. It justified not only slavery but also the extermination of Indians, exclusion of Asian immigrants, and the taking of Mexican lands by a nation that professed a belief in democracy. Racial practices were institutionalized within American government, laws, and society. 9. Race isn't biological, but racism is still real. Race is a powerful social idea that gives people different access to opportunities and resources. Our government and social institutions have created advantages that disproportionately channel wealth, power, and resources to white people. This affects everyone, whether we're aware of it or not. Here's the schedule for the public screening of Race: The Power of an Illusion. All public screenings and community dialogue will be held at The Light Factory at Spirit Square, 345 N. College St. (Knight Gallery) from 7 to 9pm.